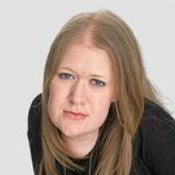 Dr Frances Ryan is political journalist, best known for writing and talking about most things to do with inequality. She has a doctorate in political theory, with a research focus on inequality in education in Britain, and occasionally teaches at The University of Nottingham. At the start of 2016, she launched a new weekly austerity column for The Guardian: ‘Hardworking People’. She also has a recurring disability column in the Society section of The Guardian. Frances has appeared on radio shows such BBC Radio 4’s ‘Woman’s Hour’ and ‘The World Tonight’, BBC Radio 5Live, BBC London, and LBC. In the past few months, she has guested on BBC ‘Sunday Politics’, ‘Sky News’, and BBC ‘The Big Questions’.